Heat oil in a fryer or wok over medium-high heat (about 350˚F). 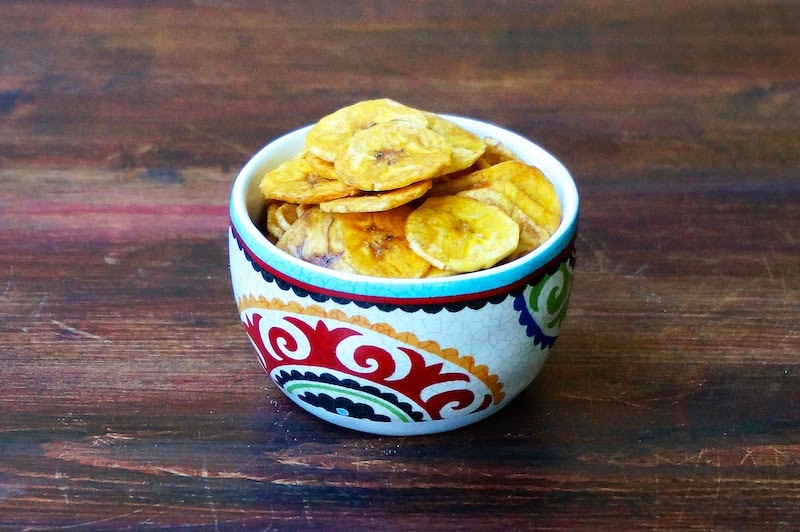 Place a slice of plantain at a time and deep-fry until crisp and golden in color. Drain on a paper towel, sprinkle some sea salt and let cool completely before serving.